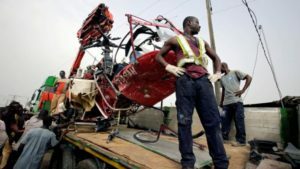 A light helicopter crashed Thursday in Port Bouët, capital Abidjan, wounding four people including a 15-year old girl, reports say. The aircraft according the national police took off from the airport, near the scene, with a French pilot and an Ivorian passenger on board. It hit an electricity tower and then fell on a shop wounding two people including a teenager girl inside. 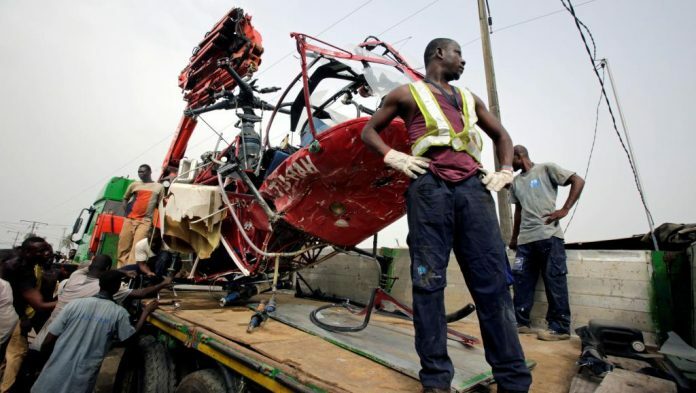 The victims were sent two different hospitals, Jeune Afrique reports. The aircraft belongs to local rental company operating from the airport. The incident is the second this year. In October a plane operated by the French army crashed at sea near Abidjan airport killing four Moldovans and four French and two other Moldovans also on boardwere injured in the accident. The aircraft according to the Paris media was its way from Bamako, Mali and was carrying personnel and material to the French military camp in the country. The camp is used as logistical hub for French forces fighting terrorism in the Sahel.